The word Passion is often under appreciated. it is what drives us to dream, to visualize and create. The Windy City Strobists/DarkByDesign photography studio is dedicated to the total expression of imagery and the culmination of those truths. Whether in front of the lens or behind the viewfinder we capture, we teach, we nurture, and we master our own vision. 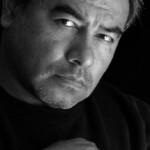 I’m Gene Alvear, founder of Windy City Strobists/DarkByDesign. As the corporate photographer for AT&T I yearned to the push the envelope in imagery. Restricted by corporate guidelines, my creative inner voice was muted but once unleashed, the epiphany of my own inner vision came to the forefront. From the skill of capturing a moment, to the art of generating a scene, as a photographer my passion is to capture nature’s elusive light and express it in any form of art. “DarkByDesign” now forms the new backdrop to my creative vision.